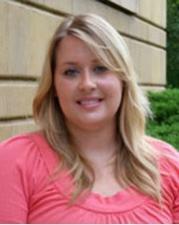 Sydney Stone is a Senior Academic Advisor in College Advising & Student Services. She works with students in the School of the Arts in Visual Art and Theatre & Dance. Along with other advisors in CASS, her primary responsibilities include advising undergraduate students throughout their academic career, leading summer orientation advising sessions, and helping to develop LA&S 292, a course for students at risk for academic probation or dismissal. She has been with the College of Liberal Arts & Sciences CASS Office since May 2013.